Crystal Moselle follows up The Wolfpack with this free-wheeling and funny film that focuses on young female skateboarders in New York City, featuring real-life crew Skate Kitchen. Introverted 18-year-old skateboarder Camille (Rachelle Vinberg) promises her mother she'll hang up her board for good after a startling injury. 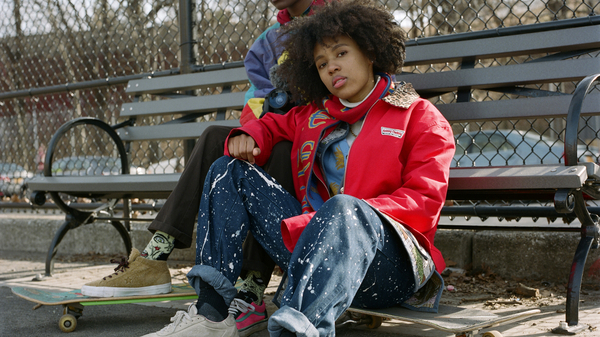 But when she discovers the Skate Kitchen on Instagram, a subculture of diverse young women whose lives around skating, she bravely seeks them out. However, with a new sense of belonging comes new social obstacles to navigate, and Camille - through the ups and downs, the ollies and the kickflips - learns the true definition of family. 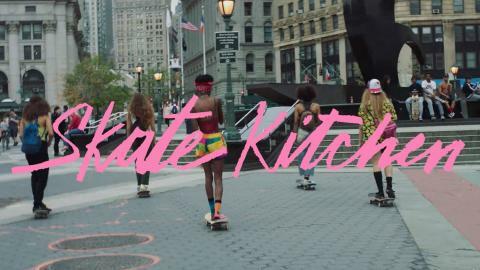 With a killer soundtrack featuring the likes of Princess Nokia, ABRA and Khalid, Skate Kitchen expertly captures the experience of women in male-dominated spaces and subcultures - and tells a story of a girl who learns the importance of camaraderie and self-discovery.